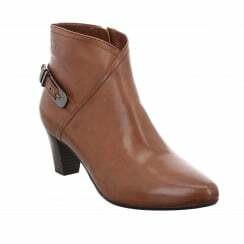 Gerry Weber is one of our most popular brands here at something for me, their beautiful shoes and boots are crafted with care and attention to detail making them one of our favourite ladies footwear brands. This German brand offers much more than their footwear line, they have built a whole lifestyle around their ethos with a hotel, spa, and venue in their portfolio. 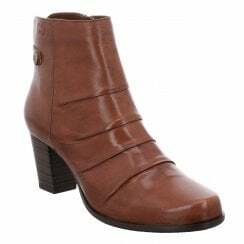 The vision from Gerry Weber is to create shoes and boots that fit into a busy and lively lifestyle whilst staying ‘irresistibly feminine’, and the collection that we have certainly follows that vision. Their boots are wonderfully comfortable with sturdy soles, and have been crafted from beautiful suedes and leathers into stunning designs. Their shoes are a pure joy to wear, whether it’s a pair of their trouser shoes or sandals you’ll be that bit happier for having them on your feet. 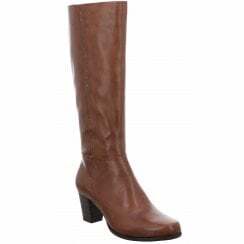 Our range of shoes and boots from Gerry Weber has been curated especially with our lovely customers in mind, there is a selection of long boots, ankle boots and different styles of shoes to choose from which evolves each season, offering you the best choice possible.